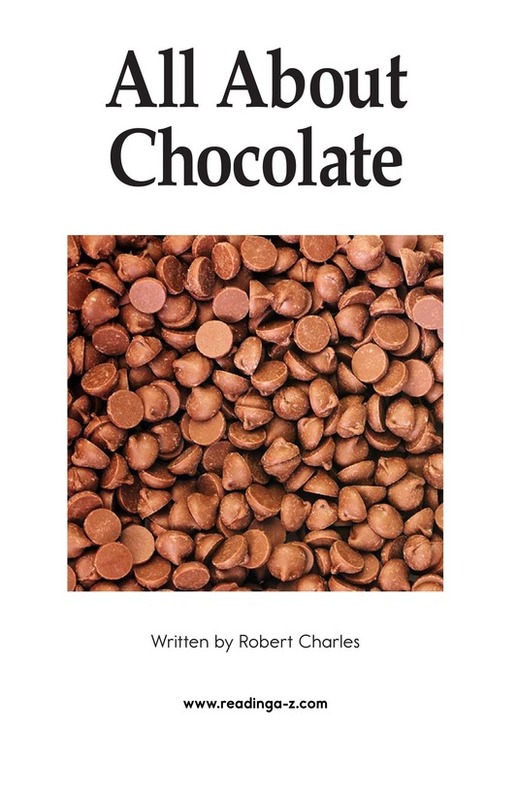 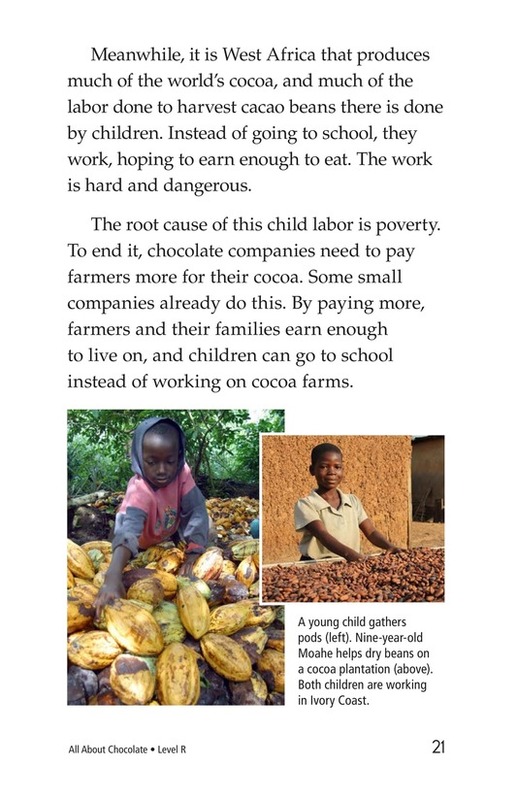 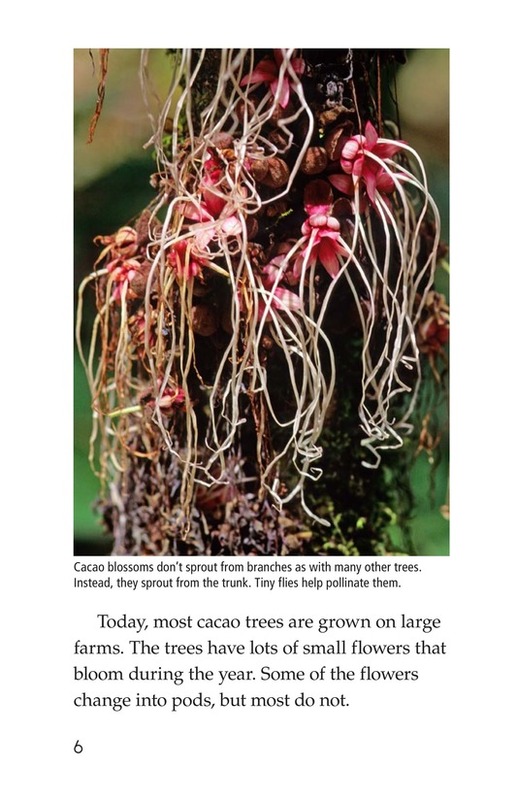 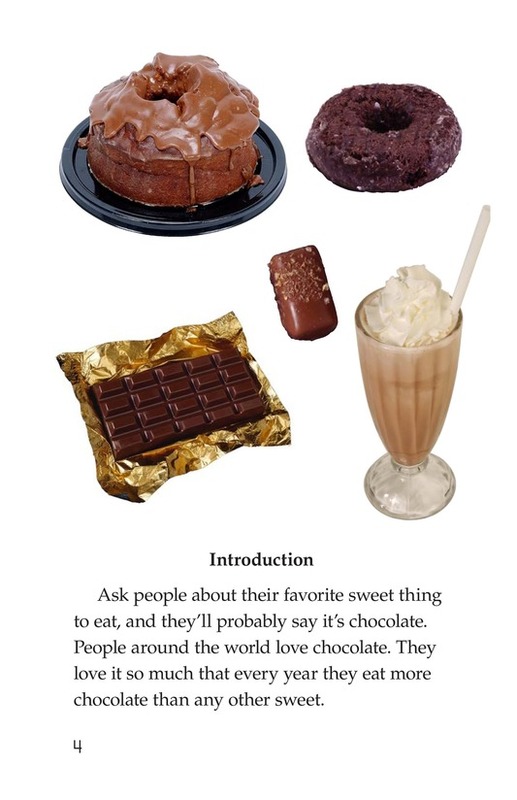 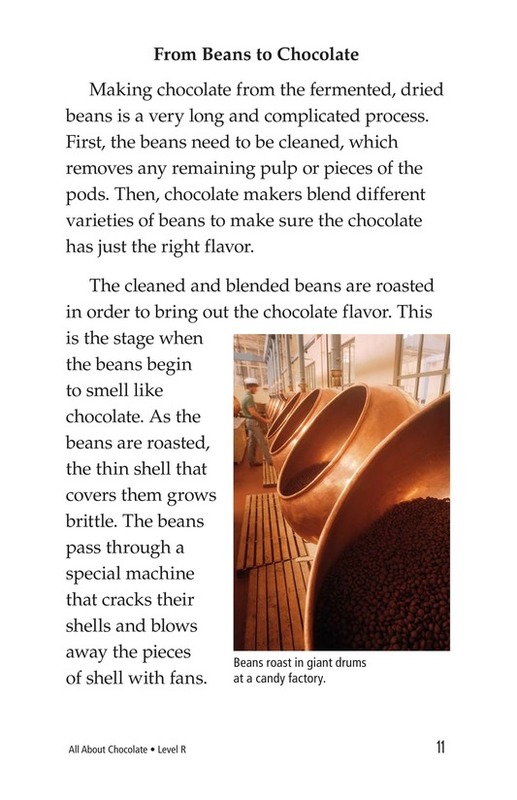 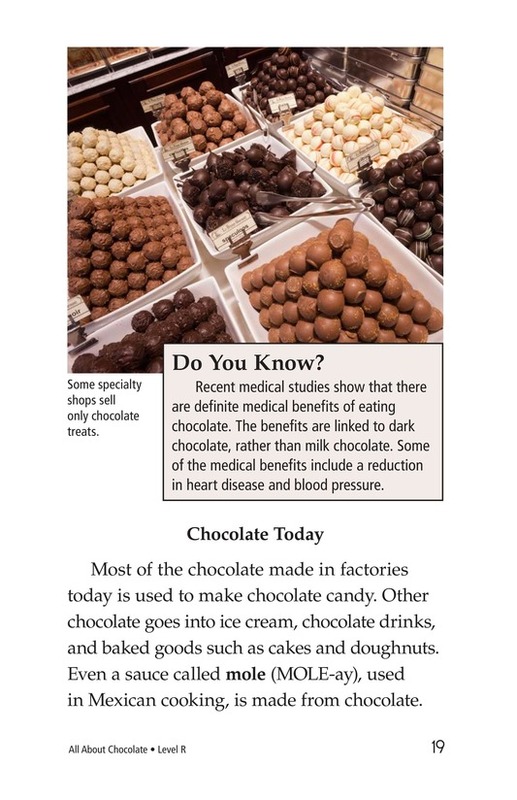 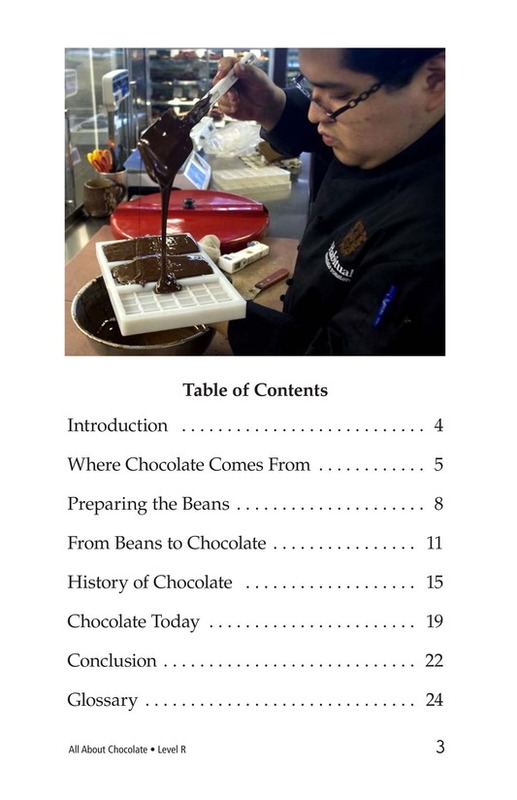 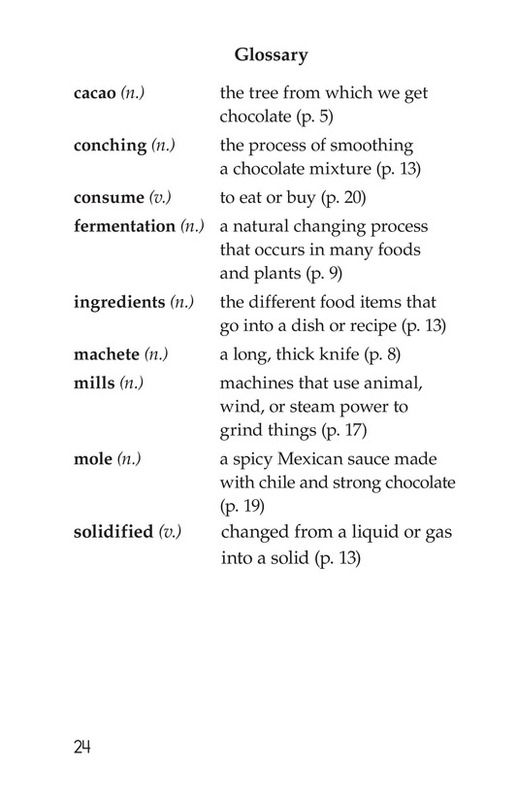 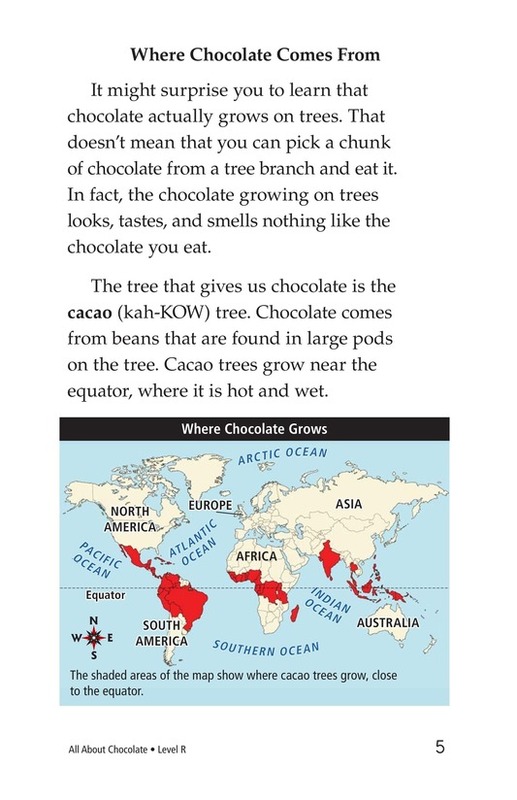 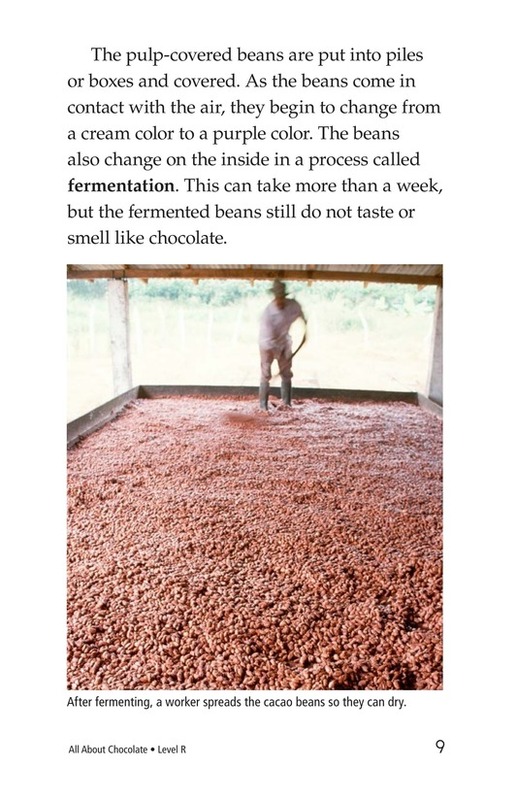 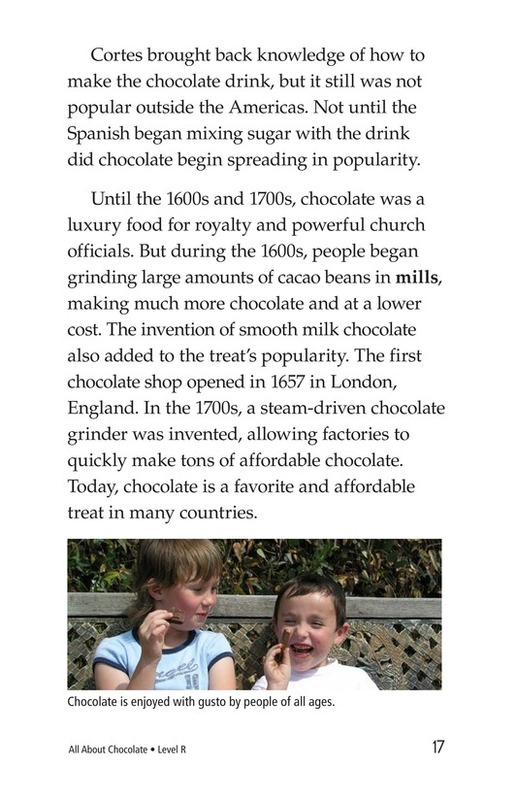 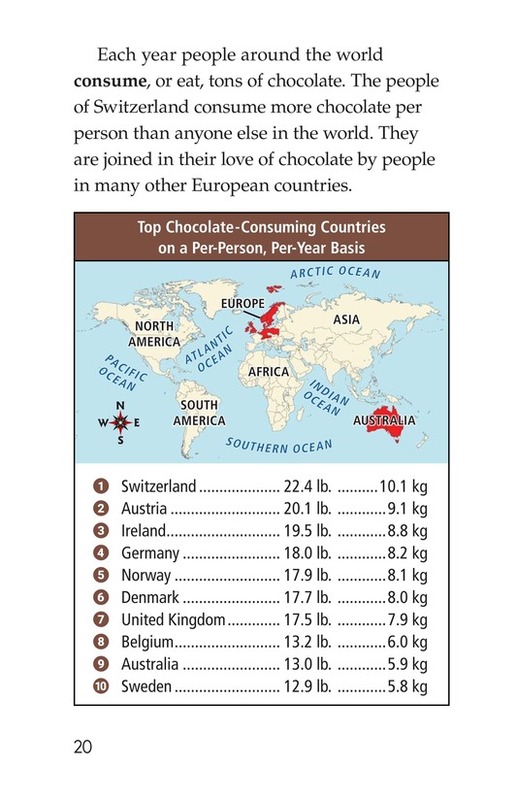 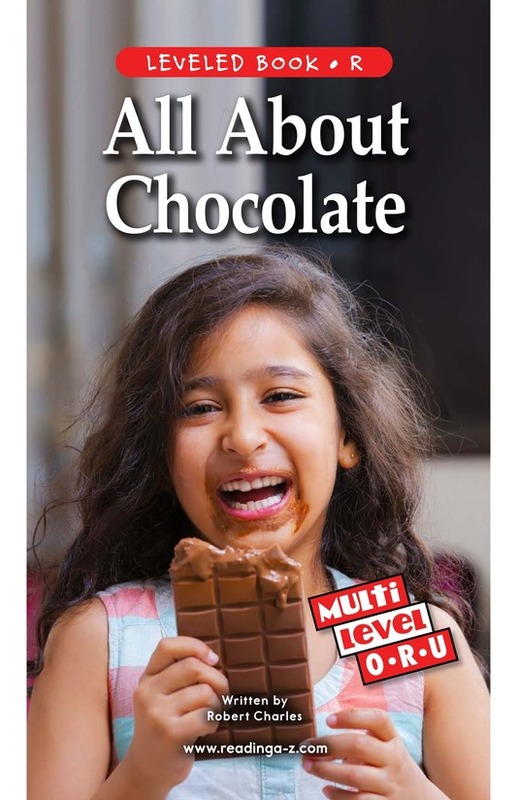 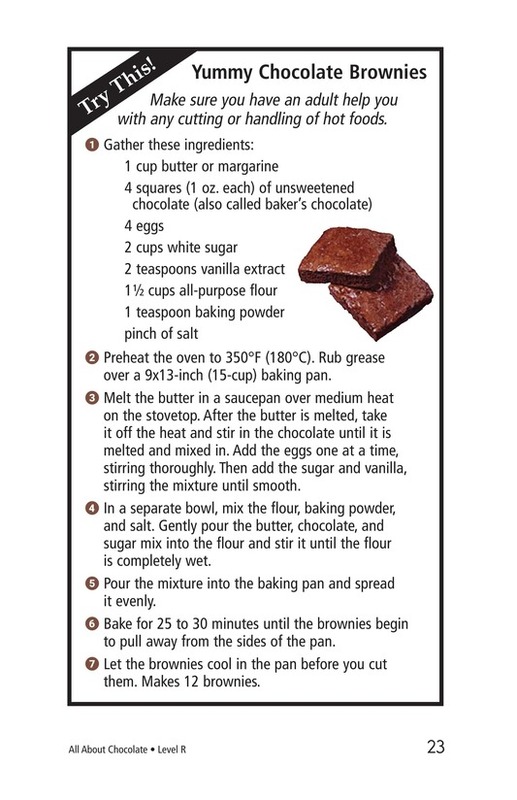 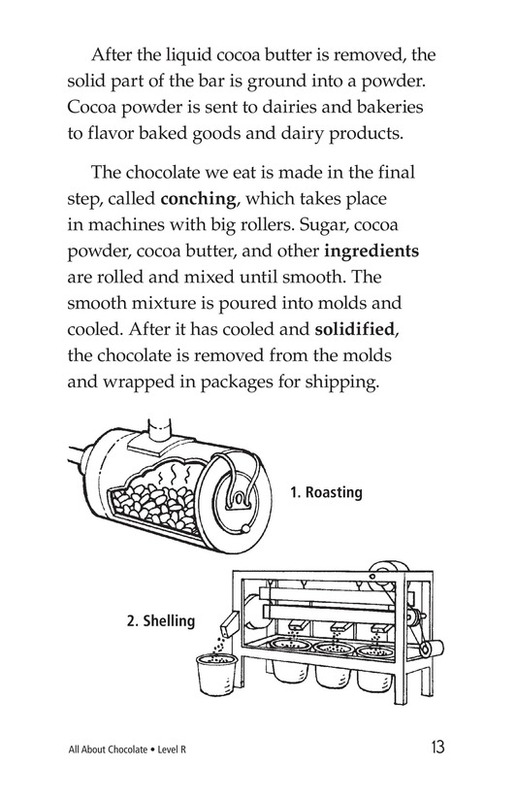 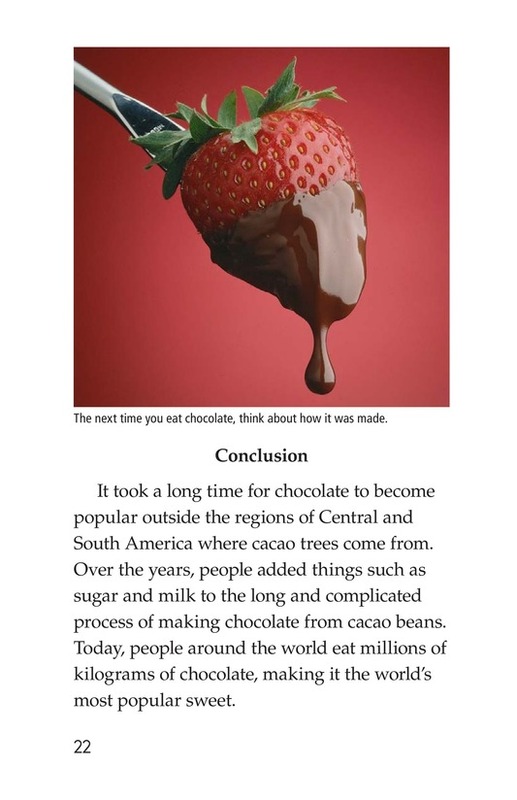 All About Chocolate is an informational book that is sure to make the reader's mouth water. 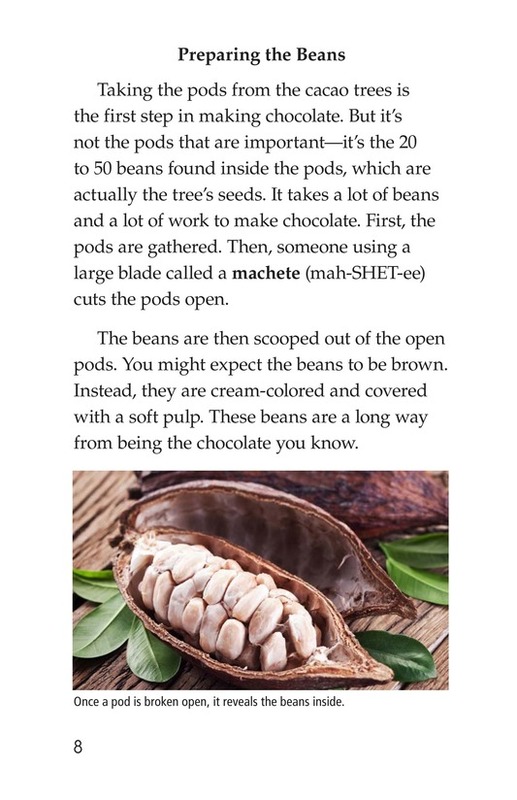 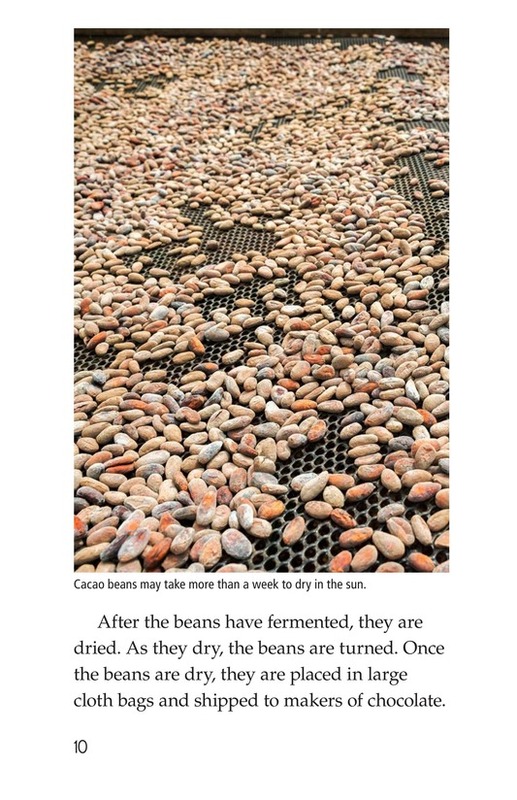 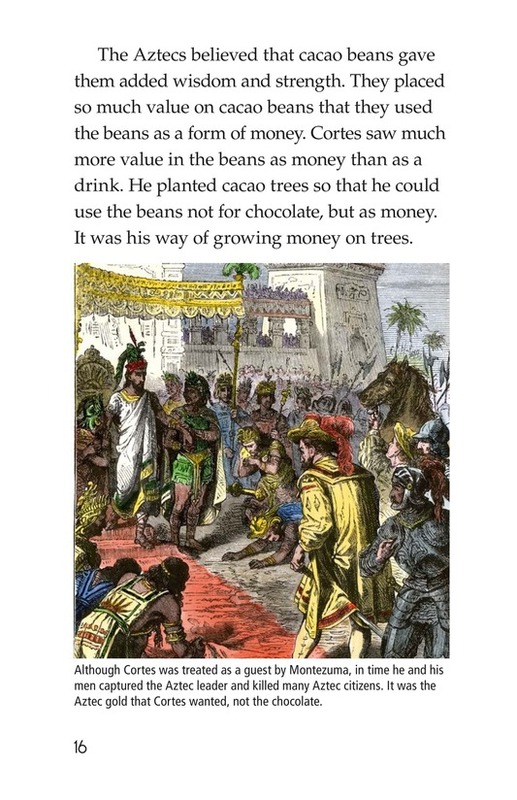 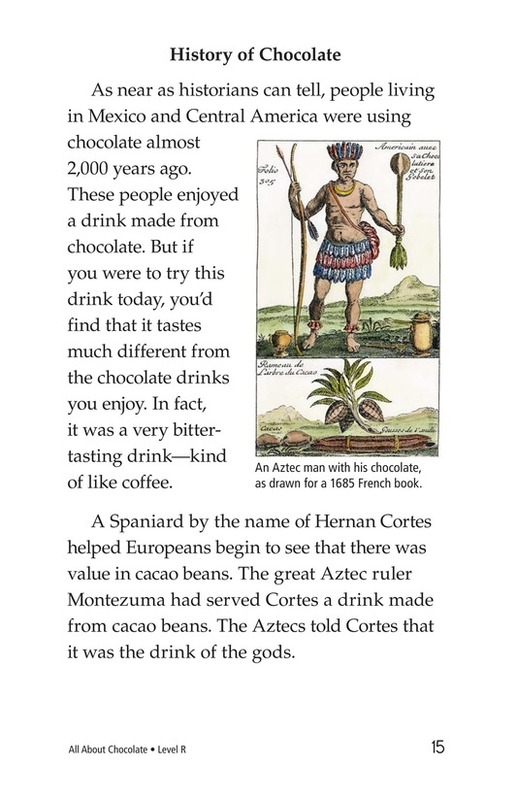 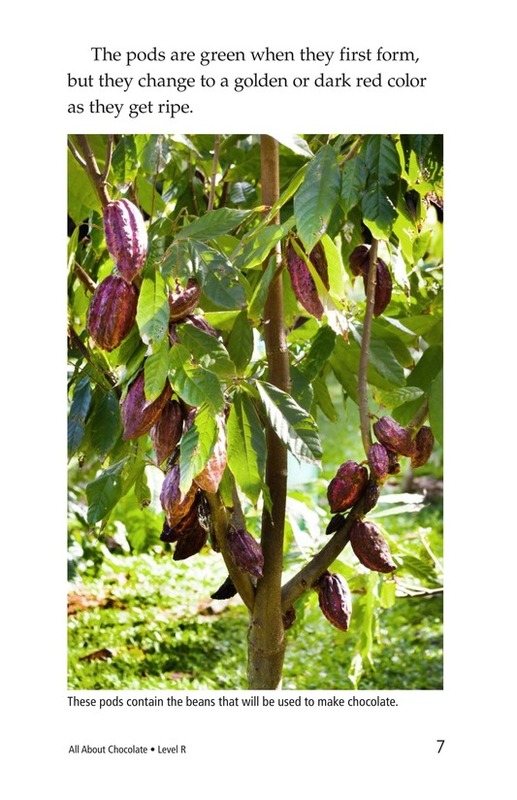 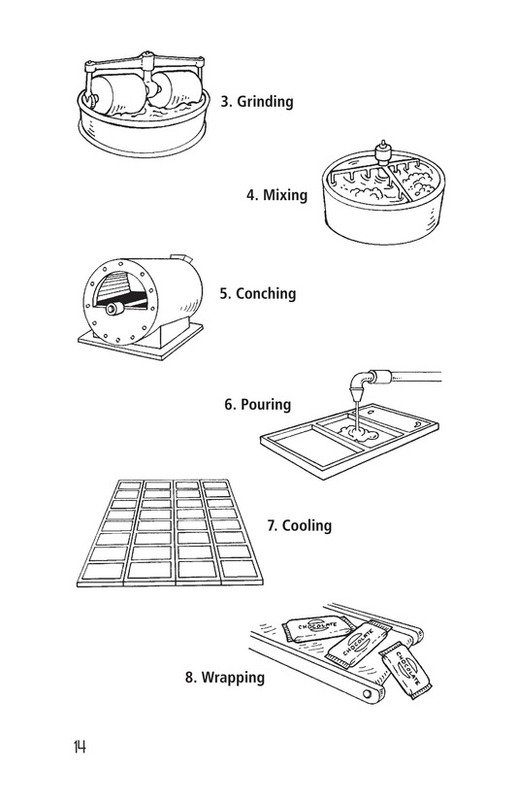 Interesting facts about the history of chocolate, where and how cacao trees are grown, and the steps taken to make chocolate into candy are included. 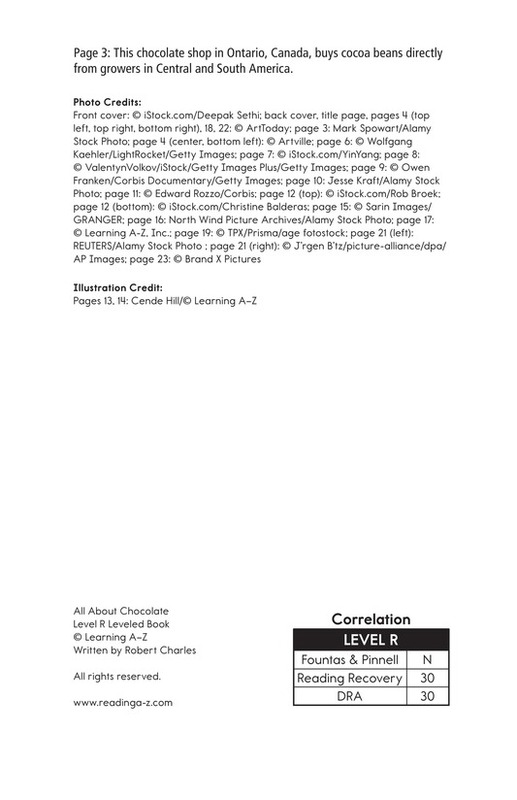 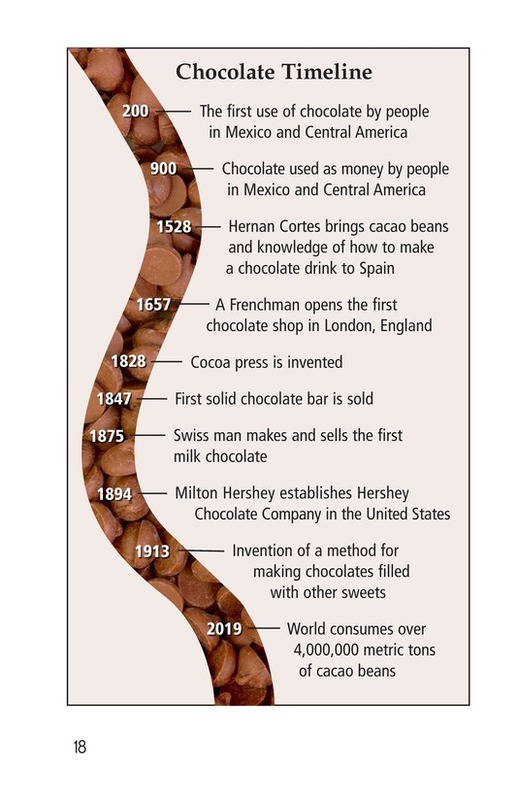 A "History of Chocolate" timeline and consumer consumption chart provide additional details. 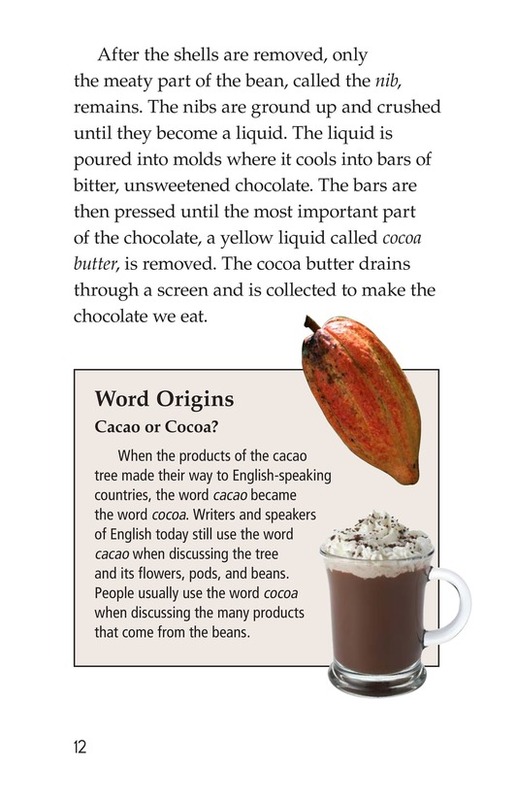 This book is one of three multilevel readers.